This issue’s Critic’s Pick diverts from my obsession with popular, often glamorized commercial groups, and instead looks at a Russian ensemble, Eidos, directed by Andrew Kaplanov. I received their submission in the mail – a CD entitled “Εἶδος”- and was awestruck by their conveyance of simple elegance. The disc, produced by Tatyana Samburskaya and engineered by Vladimir Samsonov, begins with three works by Igor Stravinsky: Ave Maria, Credo, and Pater Noster. 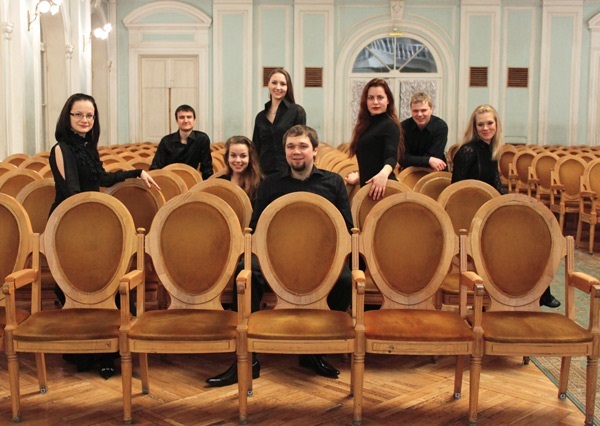 During the time of its composition, the Russian Orthodox Church forbade music with instrumentation, and so, despite his hatred of a cappella music, Stravinsky set these works as simply as he could. Eidos executes Stravinsky’s intentions beautifully: short, simply, and purposefully. The CD is reflective and beautiful, but lacks any great musical nuance. Though it is unclear whether or not this was intentional (given the nature of the musical selections), it is still well done. The first three pieces in particular remind the listener that music does not have to be indulgent to be beautiful. There is a raw quality in this disc that I find incredibly appealing. Though this setting of Ave Maria is arranged for SATB a cappella ensemble, Eidos correctly performs it similarly to plainchant. The Credo, in contrast, is a lively, articulate setting of the otherwise simple Slavonic chant. This piece is deceptively difficult because Stravinsky writes multiple phrases that repeat on the same note. This selection is a great contrast to the Ave Maria and the Pater Noster that follows, though I wish Eidos had, at times, more energy, diction, and a greater sense of forward momentum – particularly in the repetitious musical lines. The Pater Noster, a musical representation of Stravinsky’s return to the church, is my favorite of the three. Zaharia Paliashvili’s, Cherubim Song, is a beautiful showcase of the male talent in this group. There is a hollow, rich quality in this contemplative tune that is not masked by the higher voices. Under Your Protection, by Movchan, is stunning; filled with haunting dissonance and a lack of tonal resolve. In a CD that otherwise lacks musical nuance, this piece has a decided musical climax that is incredibly exciting. The popular Finnish Folk Song, Kristallen den fina, set in a low tessitura, earned “audience points” because of its familiarity. The CD concludes with Georgy Sviridov’s Clear Field, and Sergey Prokofiev’s anthem-like setting of Many Years. 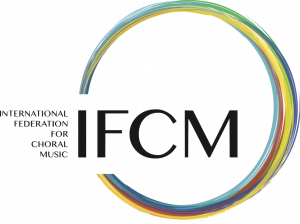 Interested in submitting a CD for review in the International Choral Bulletin?